Some have said and made the claim that Guns N’ Roses is the “most dangerous band in the world”, but I would tend to agree with those that gave that moniker, or better yet, title, to the band that is less famous than GNR, but a lot more infamous… Body Count. For those who know, in the early 1990’s Body Count had more haters than Donald Trump has Twitter followers today. Although they’ve gone through numerous line-up changes and their fair share of ups & downs, the 3 things that have remained the same are 1) Ice T 2) Ernie C. & 3) Unrelenting Attitude. 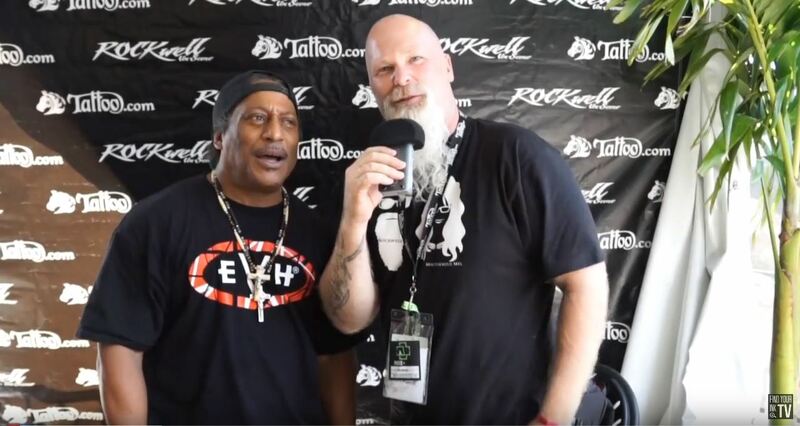 Chicago Open Air 2017 was our first chance to talk with lead guitarist and founding member Ernie C. about their new album “Bloodlust”, and specifically the track (and video) “No Lives Matter”. How about tattoos? Ernie doesn’t have any, but that didn’t stop him from giving his personal insight and recommendations.